Saturday Night and Sunday Morning (1960) | 'TAIN'T THE MEAT… IT'S THE HUMANITY! A change of pace tonight. 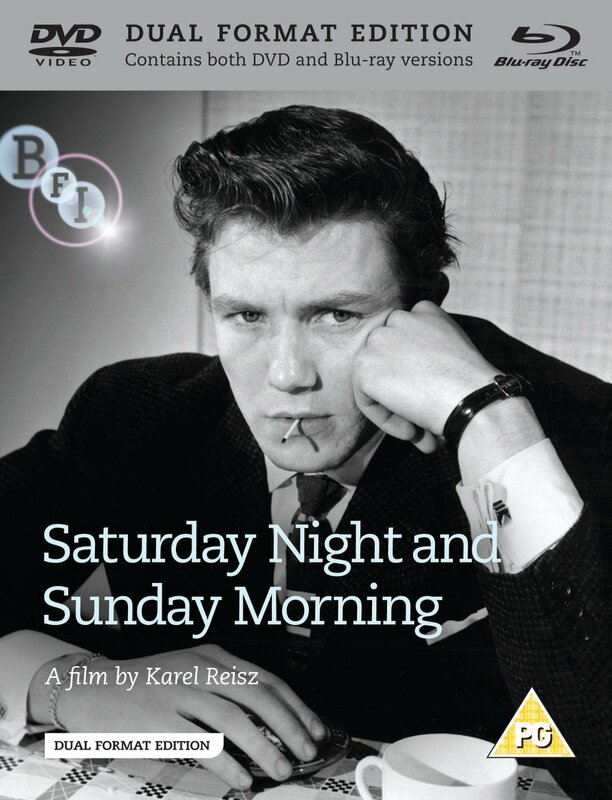 It’s the turn of Saturday Night and Sunday Morning (1960), director Karel Reisz’s adaption of the semi-autobiographical novel by Alan Sillitoe. This film not only heralded the birth of a new wave of realistic and gritty British films – popularly known as “kitchin sink” dramas – it also helped launch the career of Albert Finney. Saturday Night, Sunday Morning is a film that observes but doesn’t judge. Is it gritty and angry? Definitely. Nihilistic? Probably. Grim? Never. In fact at times it’s very funny: Finney’s baiting of a nosey neighbour, leading to a visit from the local police, is very entertaining. And there’s an exuberance and angry energy to his character that’s enduring – he’s a born fighter, even if he isn’t quite sure what he’s fighting for or against.